Douglas Cardinal is an internationally renowned architect and the recipient of many honours and awards, including eleven honorary doctorates and a Gold Medal in Architecture from the Royal Architecture Institute of Canada, one of the highest awards available to a practicing architect. The International Academy of Architecture has declared him Professor/Academician and conferred on him the illustrious title of World Master of Contemporary Architecture. He is also an Officer of the Order of Canada. Cardinal was born and raised in Alberta, of Métis Blackfoot ancestry, and studied architecture at the University of British Columbia and the University of Texas. He was influenced by the art deco and organic approach to architecture developed by Frank Lloyd Wright, Bruce Goff, Alvar Alto, and Gaudi. His architectural training has been supplemented by an apprenticeship with Aboriginal teachers and a thoughtful response to the needs of Native communities. Throughout his career Cardinal has pioneered the use of computers in architectural design. In his buildings, he seeks to elevate the human spirit and bring harmony and balance to our own nature and our natural environment. His designs include numerous public buildings—from schools, halfway houses, and friendship centres to one of the most visionary and iconic buildings in Canada, a building that rises gracefully from the banks of the Ottawa River, directly across from Parliament. With its limestone-clad forms seemingly shaped by the forces of nature, the Canadian Museum of Civilization has been recognized as one of Canada’s—and the world’s—greatest architectural landmarks. The new Wabano Mamawi Centre to be built on Montreal Road in Ottawa is another example of his unique approach to design. In the early 1990s, Cardinal won the design competition for the National Museum of the American Indian in Washington, D.C., and his influence can be readily seen in that building, which opened in 2004. Now based in Ottawa, Cardinal’s practice takes him around the world. Mike Dangeli is a member of the Nisga’a, Tlingit, Tsetsaut, and Tsimshian Nations. He belongs to the Beaver Clan and carries the names Goothl Ts’imilx (Heart of the Beaver House) and Teettlien (Big Wave). His people’s traditional territory is the Nass River Valley area of British Columbia, which lies approximately 500 miles north of Vancouver. Since childhood, Mike has been training under the leaders of his family to be the Simoget (hereditary chief) of his clan among the Nisga’a. He has learned how to host his own feasts, potlatches, and totem pole raisings, prepare traditional foods, speak for his family, and to perform the songs and dances of his people. He has apprenticed with many master carvers and regularly returns home to northern BC and Alaska where he continues to learn oral histories, songs, dances, and protocols from his Nisga’a, Tsimshian, and Tlingit elders. Mike currently lives in Vancouver where his studio is the focal point not just for his own work but classes, workshops, and seminars for teaching Northwest Cost art to urban First Nations children, youth, and adults. Mike’s works include masks, drums, regalia, paintings, and limited edition silk-screened prints. In 2007, Mike completed twelve totem poles and a thirty-foot ocean going canoe. He is currently carving six totem poles for Luma Native Housing Children’s Village in Vancouver, BC. Mike is also an accomplished singer, songwriter, and dancer. 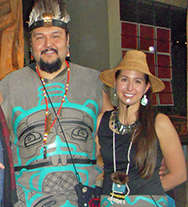 Since 2003 he has shared the leadership of The Git Hayetsk Dancers with his fiancée Mique’l Askren (Tsimshian). Their dance group reflects the diversity of the urban First Nations population of Vancouver. Its forty members bring together representatives of the Nisga’a, Tsimshian, Tlingit, Haida, Gitksan, and Haisla Nations.With this and previous groups, Mike and Mique’l have performed, lectured, and conducted workshops and carving demonstrations throughout Canada and the United States as well as Austria, Malaysia, Germany, and Japan. They take pride in a respectful approach to being traditional and contemporary and make it a priority to continue and expand ancient traditions in contemporary times. As well as singing the songs of the ancestors they create new songs, dances, drums, rattles, masks, and regalia to reflect and record their experiences as First Nations people today. Raised in the only Indian reserve in the state of Alaska, Mique’l Askren is a member of the Tsimshian Nation of Metlakatla Indian Community. She belongs to the Eagle Clan of the Gispaxlo’ots and carries the names Shug Goad Lax Skeek (Devoted Eagle) and Taakw Shaawát (Winter Woman). Mique’l has a Bachelor’s degree in Art History from the University of Washington, a Masters from the University of British Columbia, and is currently a PhD Candidate at UBC specializing in Northwest Coast First Nations Art History. Her passion for engaging with critical issues surrounding First Nations art, history, and culture has developed out of, and continues to be informed by, her role as a teacher of her people’s language, songs, dances, ceremony, and art. Mique’l is also an accomplished songwriter, dancer, and choreographer. Since 2003, she has shared the leadership of The Git Hayetsk Dancers (People of the Copper Shield) with her fiancé, Nisga’a artist and carver Mike Dangeli. 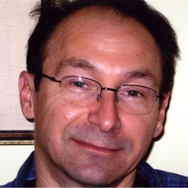 Armand Garnet Ruffo is a writer and educator whose work includes essays, short fiction, poetry, plays, and recently, film. 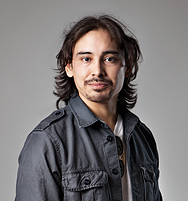 A Windigo Tale, his screenwriting and directorial debut, most notably won Best Picture at the 35th American Indian Film Festival in San Francisco in 2010. He is the author of the poetry collections Opening In The Sky and At Geronimo’s Grave, winner of the Archibald Lampman Award for Poetry, and the author of the acclaimed creative biography Grey Owl: The Mystery of Archie Belaney. He has also edited the collection of essays (Ad)Dressing Our Words: Aboriginal Perspectives on Aboriginal Literature (2002), co-written the entry on Aboriginal literature for The Cambridge History of Canadian Literature (2009), and is currently co-editing a new edition of An Anthology of Canadian Native Literature in English for Oxford University Press. Ruffo’s poetry has appeared in numerous anthologies and journals, including Making A Difference: Canadian Multicultural Literatures in English (Oxford, 2007), The Echoing Years: An Anthology of Poetry and Translation from Canada and Ireland (Blackwell, 2008), and most recently in Best Canadian Poetry (Tightrope Books, 2010). He is currently writing a book on the acclaimed Anishinaabe painter Norval Morrisseau; excerpts have appeared in various publications including the National Gallery of Canada’s catalogue to the 2006 exhibition Norval Morrisseau: Shaman Artist. Born in Chapleau, northern Ontario, with roots to the Sagamok Ojibway First Nation and the Chapleau Fox Lake Cree First Nation, he currently lives in Ottawa and is an Associate Professor in the Department of English at Carleton University. Mosha Folger (aka M.O.) was born in Iqaluit, Nunavut, to an Inuk mother and an American father. A writer and performer, Mosha has dabbled in journalism, been a playwright and poet/performer at the Weesageechak Begins to Dance festival, and has shared his “Eskimocentric” brand of spoken word performance at various venues, including WestFest in Ottawa, the Railway Club in Vancouver, and the Great Northern Arts Festival in Inuvik (where he was named a Best New Artist). Mosha’s video work, Never Saw It (2008), melded spoken word, hip hop, and visuals and was an official selection at the Winnipeg Aboriginal Film Festival. Mosha is currently working on Anaana, a personal examination of the lasting effects of residential schools. Mosha began to concentrate on hip hop in 2009, creating beats and rapping, culminating in the self-released CD Eskimocentricity, under the name M.O. The followup release, String Games, is a duo effort with rapper and longtime friend Geothermal MC. Mosha is active in the Ottawa poetry community and is a member of the Bill Brown 1-2-3 collective. He also brings the fun and power of spoken word and hip-hop to the young, from grade schoolers to teens, at Tungasuvvingat Inuit (an Ottawa-area Inuit organization) and the Ottawa Inuit Children’s Centre. 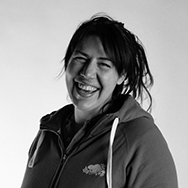 Nadia Myre is a multi-disciplinary visual artist from Montreal and a member of the Kitigan Zibi Anishinabeg. Her work explores the notions of longing and loss as well as the incessant human drive to reconcile the two. She holds a Bachelor of Fine Arts from the Emily Carr School of Art in Vancouver and a Master of Fine Arts from Concordia University. Myre is the recipient of numerous grants and awards, notably the Quebec Arts Council: Prix la création artistique pour la region des Laurentides, and a Fellowship from the Eiteljorg Museum. Her work has been exhibited nationally and internationally in New York, London, France, Shanghai, and Australia. In 2000, as a tribute to her mother’s efforts in re-establishing their Indian status, Myre coordinated a project to bead over all fifty-six pages of the Indian Act with the help of over two hundred participants. Recent solo exhibitions include Scar Tissue at the Smithsonian Institute National Museum of the American Indian, New York (2010) and Landscape of Sorrow and Other New Work, Art Mûr, Montreal (2009). Her work is found in numerous collections, including: the Canadian Museum of Civilization, Eiteljorg Museum, MacKenzie Art Gallery, Musée des Beaux-Arts de Montréal, the National Gallery of Canada, and the Smithsonian Institute National Museum of the American Indian. An exhibition of her work, Nadia Myre: Symbology, will be on view at the Carleton University Art Gallery at the time of the New Sun Conference. A screening of the film A Windigo Tale and an artist-conducted tour of the exhibition Nadia Myre: Symbology at the Carleton University Art Gallery will coincide with the conference.